As some of y’all know, Eldest is serving in the US Navy. One of the things I had to get used to was dealing with the fact that she is an adult and I have no control over her wants for a tattoo. I admit it is…. difficult to untie the apron strings, and I have managed to do so. For the most part. Oh, like *I* am the only parent who has ever gone through this??? Anyway, blogger friend XBradTC has a post about a Russian nuclear sub catching fire. The first thought to pop into my head was Red October. And then my friend Mark commented about reminding him of the movie Hostile Waters. And that brought to mind a survey done by USAA long ago about the best submarine movies of all time. I have told y’all how my mind wanders from one thought to another on skewed lines. This isn’t news. And I began to recall my favorites. Das Boot is by far my favorite. I fell in love with Jurgen Prochnow watching his portrayal of Capt. Willenbrock (not his name in the movie but the real life character on which it’s based) dealing with the immense claustrophobic conditions and the grittiness contained in that sardine can. He broke my heart in Beverly Hills Cop II but I soon forgave him. The movie gave us a slice of that unforgiving life served raw and rotted. And the look on his face as he dies in the air attack has never been equaled. In not-too-distant second place it’s Gray Lady Down. Sure, you have Stacy Keach and Keith Carradine and even Christopher Reeve. But none of them come close to Heston. NONE!! As captain of the “Gray Lady” he balances hope against certain death masterfully. And Carradine’s act of ultimate sacrifice makes me cry every single time. I think the first submarine movie I ever watched was my third place contender, The Enemy Below. It was dubbed in Spanish, and let me tell you, the guy who dubbed Robert Mitchum’s voice didn’t even come close to doing him justice. Technically, the submarine was not the protagonist in this movie. But the cat-and-mouse plot between Capt. Murrell and Capt. Von Stolberg brings you to the edge of your seat, and you can’t help but admire the German’s brilliance. Tied for third place is the film that got me thinking about all of this in the first place. 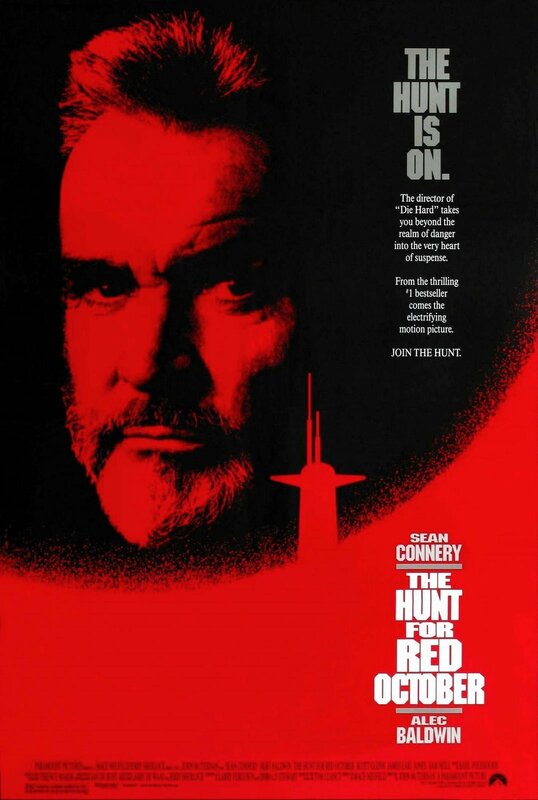 The Hunt for Red October had everything you could want in a movie: mystery, subterfuge, action, drama, humor, frivolity, major eye candy (don’t judge me), and even a touch of romance. Oh, not the “chick flick” type of romance, but rather romance in the simplicity of Capt. Borodin’s wishes to live in Montana. Respect for each other is definitely earned by all of the characters as the leadership of the Russian sub lies to its crew in its fight for survival on both sides of the ocean. Last but not least, I have to say the “guilty pleasure” addition to my list is Down Periscope. Though the entire scenario requires a complete and thorough suspension of disbelief, it’s still manages to instill good lessons in raising morale and dealing with the worst hand ever dealt. Kelsey Grammer’s portrayal of Commander Dodge is beyond hilarious, from deadpan to outrage to outrageous. Forcing the XO to walk the plank was hilarious. Christening the Stingray as the U.S.S. Rustoleum was genius. 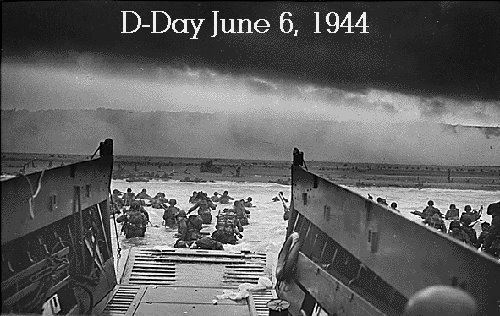 For me, it is one of the saddest holidays, and yet it is also filled with joy, knowing that such courage exists, and such sacrifices are made in defense of freedom. 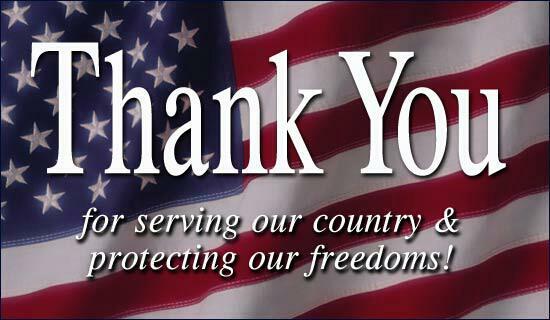 I give thanks to all the men and women who paid the ultimate price so that I could speak, and worship, and complain, and demonstrate. And to do so in English. 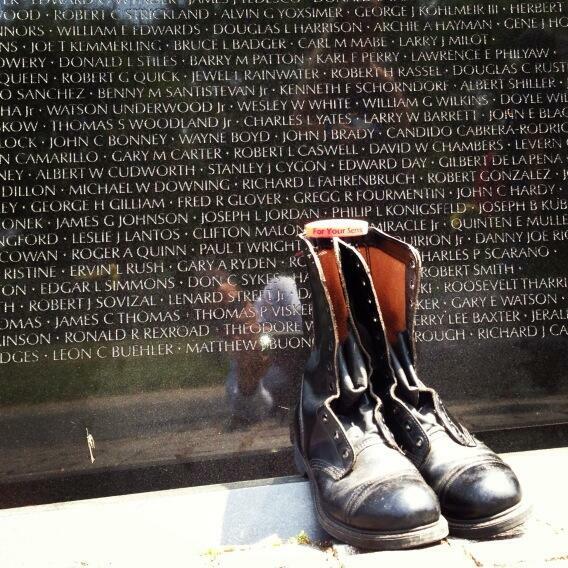 May they never be forgotten, nor their sacrifices be in vain. Happy 237th Birthday, U.S. Army!! On this day, in 1775, the Massachusetts Provincial Congress appealed to the Second Continental Congress in Philadelphia to assume authority for the New England army, because as we all know, THE BRITISH WERE COMING!!! (I hope my friend Katie has a good laugh!) So, allegedly at the behest of John Adams, Congress voted to take the NE Army and conscript it for use in all colonies (though no written record exists for that vote). However, they did vote to “to bring in a draft of rules and regulations for the government of the Army,” thus, the birth of our U. S. Army. 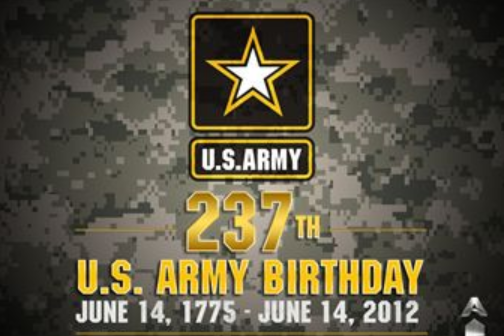 Being an Army wife, I am partial to this military birthday, for it is two-fold. 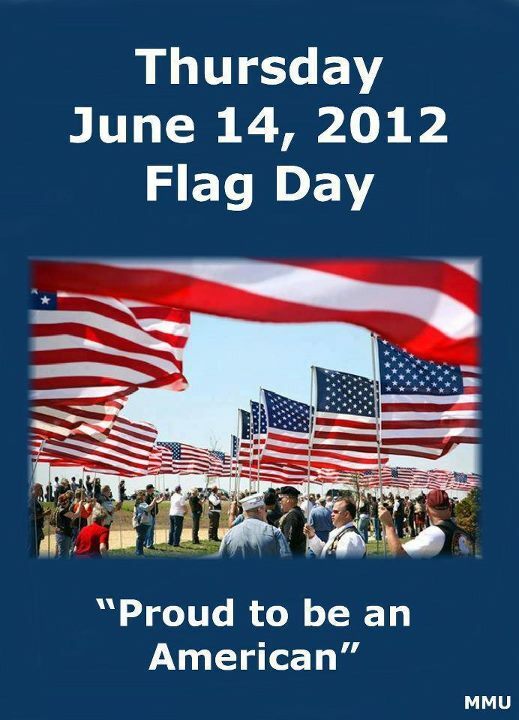 Today is also Flag Day!! On this day, the Second Continental Congress passed the Flag Resolution of 1777, which officially adopted the flag of our new found country. When I arrived in Texas, it was the summer of 1976. Everything was red, white, and blue, and I thought this was the most color-coordinated country in the world. My dad explained that we were celebrating a very important birthday, and so began my love affair with History. I regret never taking the opportunity to visit Normandy while stationed in Germany. I did get to visit the Luxembourg American Cemetery and Memorial near the village of Hamm in Luxembourg. The cemetery was established in December, 1944, by the U.S. Third Army during the Ardennes Offensive. General George S. Patton is buried there. Walking alongside the crosses, listening to the beauty, it felt as if Time was waiting for something. I think it still is. These men had their victory. I pray we have in our spirit the same abilities to achieve our own. Yesterday was a Red Letter Day here at Casa de Aggie. 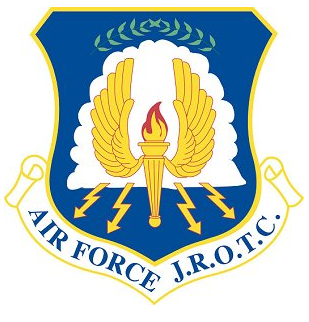 Both Eldest and Son were promoted in rank in AFJROTC. 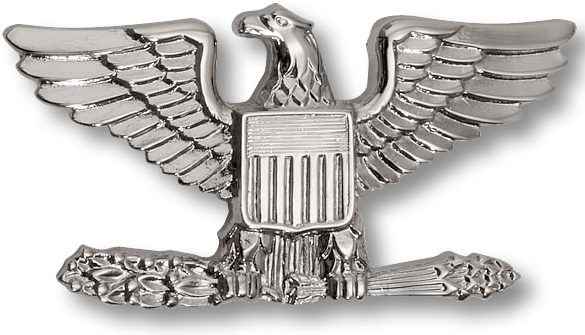 Getting promoted is a big deal in itself, but on top of that, Eldest made the rank of Cadet Captain as a junior, and Son was promoted two ranks for his service, from Cadet to Airman First Class. They worked hard and are very involved in ROTC, and I’m proud to say they are fine examples of the program at our school. What they learn will help them achieve success in their future, no matter what path they take. If only they would work half as hard on their rooms. That would be awesome!! Seventy years ago today, what was then the Empire of Japan attacked our Naval base at Pearl Harbor, waking us up to the reality that isolationism was no longer an option. In all, 2,402 Americans were killed and 1,282 wounded. 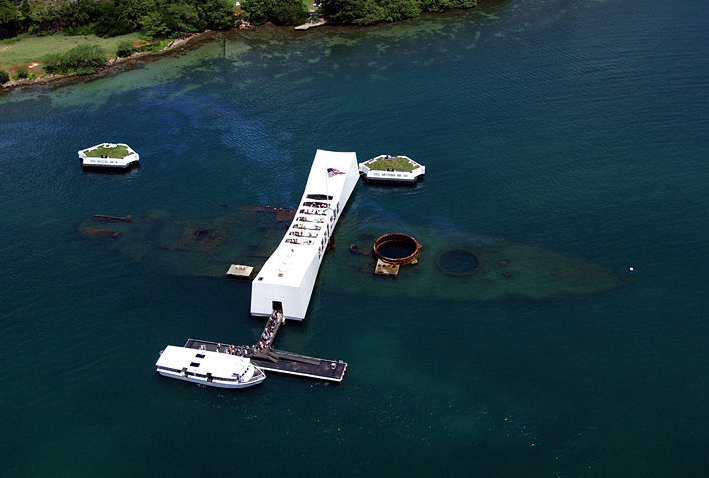 The largest casualties were borne by the U.S.S. Arizona, which lost 1,177 Americans. Oil still weeps like tears on the water, and I am reminded to keep an eternal vigilance against all enemies, those that shout, and those who keep their silence as they plot to strike against us.